NES Adventures of Lolo 2 (USA) "Pro levels" in 02:04.72 by Baxter. 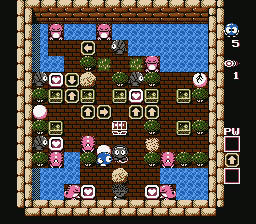 Lolo 2 contains four so called PRO levels that can only be accessed by inputting a level password. This movie plays those four levels quite fast. This movie is actually a result of competition/co-operation between Baxter, Randil and Hanzou.